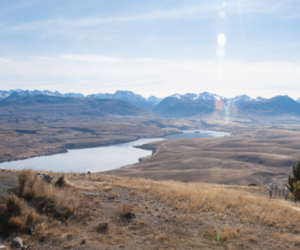 Environment Canterbury has released a report commissioned by the five agencies with statutory responsibility for land and water management in the iconic Mackenzie Basin. The Mackenzie Basin – Opportunities for Agency Alignment (pdf) review identifies the numerous opportunities and challenges facing agencies and the community in the future management of the Mackenzie. Environment Canterbury Chief Executive Bill Bayfield said the regional council, the Department of Conservation, Land Information New Zealand and the Mackenzie and Waitaki District Councils were seeking ways to better work together for the benefit of the Basin, its unique environment and the people who live there. With these challenges in mind, the five agencies commissioned a project to identify opportunities for better alignment between them.